One of my favorite money saving tricks is using the spending freeze rules to save about $1,000 quickly. 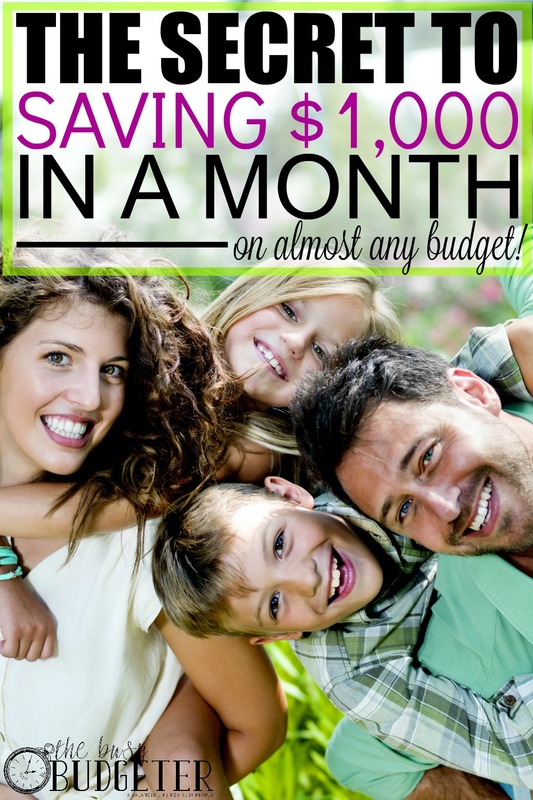 Usually, you can save $1,000 in less than a month. Depending on your current spending, saving $1,000 in two weeks isn't unheard of. A spending freeze is simply a commitment to not spend a single dime that isn’t necessary. You would cut out all unnecessary spending for a predetermined amount of time. Your bills would still get paid, and you would still make sure that your family is fed and medically taken care of, but no other spending is allowed. Before a spending freeze, I wouldn't think twice to grab a cup of tea at Wegmans or buy a clearance lip gloss for $1.50. After a spending freeze, paying $1.50 for lip gloss makes you feel like a millionaire throwing Benjamins in the air. No joke. Learning to make do with what you have and appreciate what not having money feels like, completely transforms your spending habits (and also makes you incredibly grateful). In fact, you can usually see the benefits of a spending freeze for several months in your budget with reduced spending. We don’t have extra money at all. What’s the difference between not spending money and a spending freeze? Great question! Even the people on the tightest budgets usually spend money on something that they don’t actually need. A spending freeze makes your commitment to not spending money an event. It’s easy to remember not to spend and it’s impossible to rationalize a purchase. Stick to the spending freeze rules and you can't lose. The worst part is thinking up solutions to last minute problems or opportunities. The first one I did, I thought it would easy, it just meant saying “no” to buying things that I don’t need like lip gloss and spicy chicken summer rolls right? What about your kid’s last minute field trip? When your best friend invites you out to eat and you haven’t seen them in forever? What about a crazy INSANE stock up sale at your favorite store? When you run out of paper towels? The spending freeze gives you a reason to tell people that you’re saving money. When we did this for the first time, Jon was spending over $70/week on lunches out at work. We thought we had to budget that in, because all of the guys ate out together. After the spending freeze, he got used to eating on his own, or going with them and not eating and then eating his own lunch later. In fact, he inspired a few others to bring their lunch in too. It’s been about 5 years now and we’ve saved over $10,000 from Jon bringing his own lunch into work. What was once seemed like something we couldn’t do became easy thanks to the spending freeze. More than one friend asked us to explaint he spending freeze rules so they could start their own spending freeze. Make a list of everything you want to buy when the freeze is done. A chipotle burrito bowl almost always tops my list. By the end of the month, you’ll have a ridiculously long list. I tell myself through the freeze, that the second the freeze is over, I’ll go right out and purchase everything on that list. But every single time, by the end of the spending freeze, I don’t even want any of those things anymore. Either I’d forgotten about them, found a substitution or just don’t feel as strongly about it. (I do usually get a burrito bowl though). Plan ahead for your schedule but don’t plan ahead for purchases! You really want to make sure that you use up all of your pantry items and frozen items. If you take the time to clean out both of expired items,and organize as best you can, it will make this go so much easier. 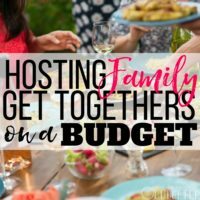 Make a list of what you have that can be used in meals and set yourself a very small budget weekly (about $30 is what we use for our family of 4) to fill in the food gaps if you need it. The most popular length of time is a month, I suggest that you do 2 weeks for you first few and then switch to a month. If you really struggle with a month, switch back to 2 weeks. We do them for two weeks and love them. A month is really hard for us. A lot. I mean, a whole lot! Each family is different. In two weeks, we save about $500. In a month, we save over $1,000. We have a pretty strict budget without a lot of discretionary spending though, I’ve had readers save over $2,000 in just a month! I also can't say that I've done this, since I'm more about baby steps than extreme changes. But I had a reader save almost $3,000 in a month to fund an emergency savings account by taking “vacation” from day care, cancelling her internet and cable for the month, doing the spending freeze and solely eating out of her pantry and freezer (think cake and broccoli for breakfast). While I don't recommend this, I have to admire her drive. Decide how long you want the freeze to be. Talk to your family to get them on board. Set a start date and a completion date. Decide on what the money will be used for. Be very specific! Transfer the money to a separate hard to reach account as if you had spent it when you normally do. I.e. if you usually spend $250 on groceries a week, and this week you’re spending $30, then transfer $220 to the separate account. Which of the spending freeze rules seems the hardest? I don’t think I would say no to a kids field trip. I don’t feel they should miss out orbs left out of an experience that is part of their education. I’m lucky at our school we pay an annual fee at the beginning of the school year so I’m always aware ahead of time but I just wouldn’t say no to that. I’ve never been able to jump on board with one of these. We don’t do food stockup. I meal plan each week based on the sales and our schedule (hubby travels many weeks so we are able to keep the grocery bill much lower those weeks) and we eat so much fresh food. I keep a couple of extra quick meals on hand in case of a totally unexpected change but that’s it really. We budget on the prior months income and use cash so we keep our budget pretty tight. It’s truly amazing what you can train yourself to get used to. After committing to repaying my student loan debt from law school, cutting my expenses, and never using a credit card, I have transformed my once-a-spender-habits into a frugal-loving-blogger. I highly recommend it! Be sure to check out http://www.myfridgefood.com for recipe ideas using the food you have in your freezer and pantry. I found this site very helpful. This seems like a good way to discover where you’re spending if you think you’re thrifty. I think for me the hardest part would be saying no to unexpected expenses. It seems every time I’m trying to save, one kid tears their only pair of sneakers in half while the other has 3 field trips and a big school project all in a week. Even at just $500, that would be a huge boost to our savings, though! I’ve always been intrigued by this idea. I would love to try it, I’m just not sure I could get the husband on board. 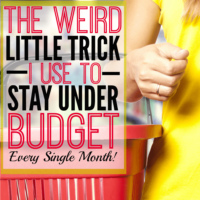 We both have a tendency to spend on little things here and there, which adds up over a month! I could see how this would really benefit our finances. This is a very interesting way to save. I have heard of it but wasn’t exactly sure how to implement it. Thanks for the in depth tips. This sounds like a great way to save. 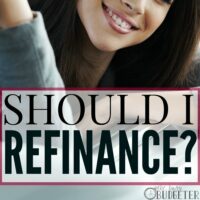 Do you have advice/recommendations for transferring and saving the money. I’m not very “bank-y” lol. I love the idea of a spending freeze! We decided to cut back our spending as much as we can. I don’t see ourselves doing an entire month but we have put the weekends as no spend days to get started. Also, it takes some planning to go on a longer spending freeze. I have a little one and a hard-working husband and I don’t want them to suffer through this. So, while we will probably never do a whole month of no spending we will def take these tips as an inspiration to reevaluate our spending habits carefully and see how much we really need to make it through the month. I’m 7 days into a 2-week spending freeze and loving your idea the list. It will help with the FOMO (Fear Of Missing Out) for sure. I’ve also found that spending freezes are great for managing clutter in your home as well. When you are in control of your spending, you’re controlling the clutter in your home. 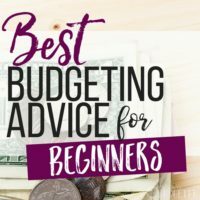 I actually linked to this Busy Budgeter article in my post that discusses managing clutter using spending freezes.